Many of our users love our awesome infographic templates, objects, and hyperlinking features. But we’d like to highlight a few other ways that people (as well as businesses and marketing professionals) can use our infographic creation tool to get the most bang for their buck. After all, it’s not just about creating infographics to share on social media; it’s about creating visual content to use anywhere and everywhere! Depending on your industry or what you use Easelly for, there are a number of unique ways you can use your creations, whether it’s for presentations, marketing materials or to add visual content to your website! We’re going to show you five different ways to use your infographics and Easelly-created images, as well as tips for implementation. You also have the option to insert a smaller infographic into your slide to expand on a point, or to incorporate visual elements into your slide so you don’t bore your audience! Webinars and live events are becoming increasingly “personal,” meaning most are just a streaming video of a person talking. However, many people still use visual aids to drive home certain points. If you prefer visual aids for your webinars/live events, you can use your Easelly-created infographics to engage your webinar audience with visuals. 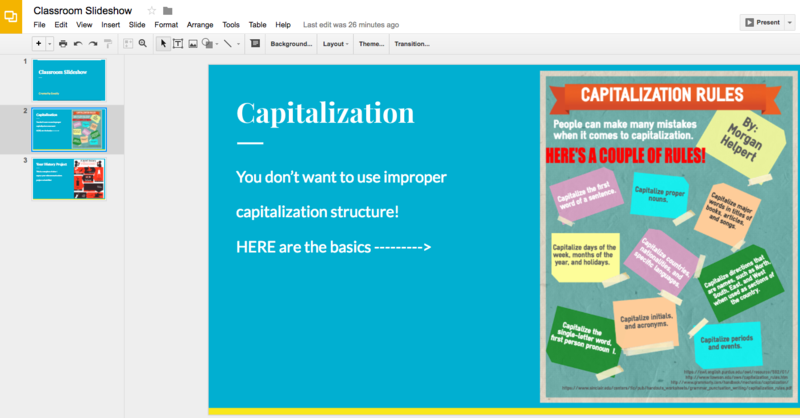 Simply create the image, upload it into a slideshow tool (like PowerPoint or Google Slides), then share your screen when you start the presentation. 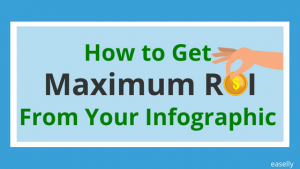 You already know the benefits of using infographics in your articles or blogs, but have you ever considered using parts of your infographic to create blog headers or blog images? 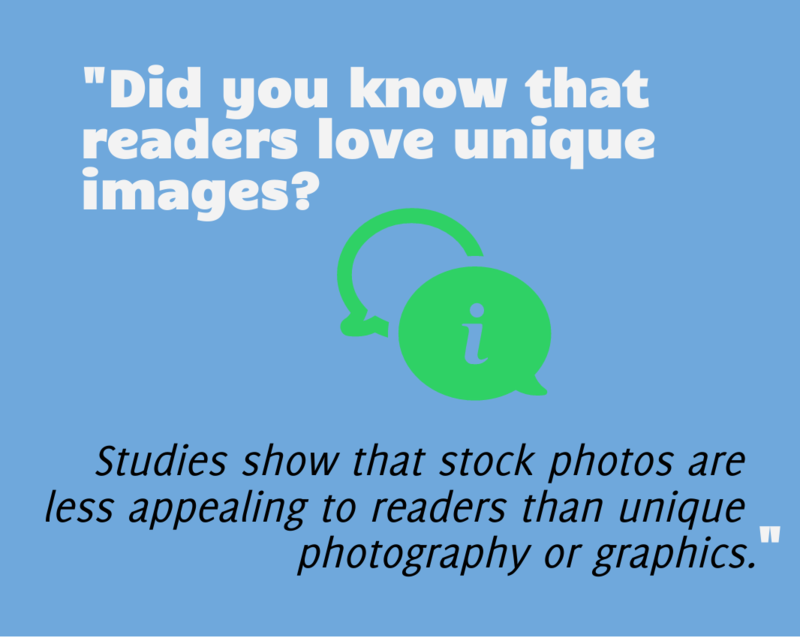 Studies show that bloggers who use graphics instead of plain font have higher traffic and more interaction. TIP: The recommended blog header size is 1600×400. 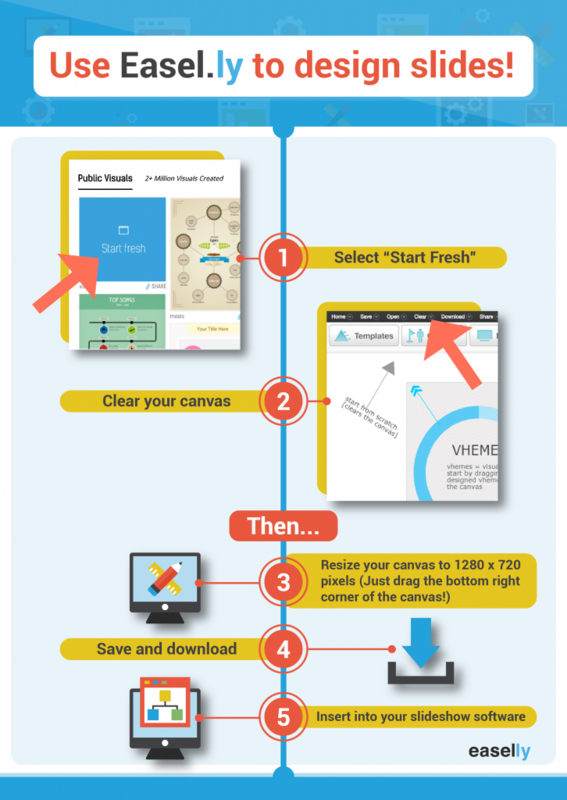 Simply drag the bottom right corner of your Easelly canvas to find the right size. This is a great way to attract attention to major points as your readers scan your content! Popout image created using Easel.ly! TIP: Blog images range from 500×500 to 650×650. We use this all the time. We simply make a copy of an infographic and then crop it to the section we want most, like the head of the infographic. You can see this with many of our blog header images on Easelly’s blog. Embed the photos so they lead people back to your site! The topic of image optimization is an entire article in itself – check it out here! Do you own a small business and need to create product manuals? Are you hoping to create a media kit or possibly a PDF resource for potential customers? Do you want a unique layout for your next ebook, webinar, or e-course? You can do all of that with infographics in Easelly’s Creation Tool! A media kit is a great resource for people interested in your services or product. 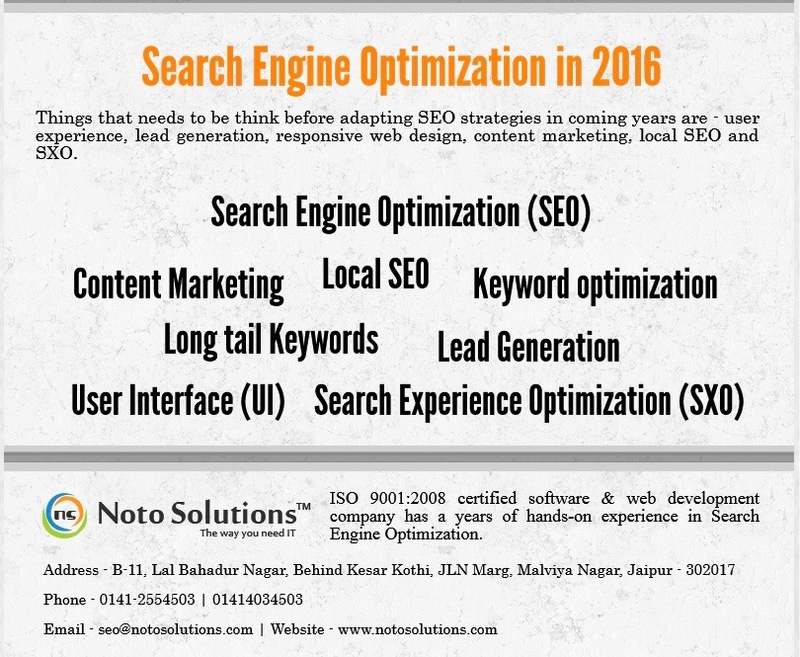 They can download the packet, get a thorough idea of your services and what you offer, and decide if they want to pursue contact. You can create a media kit much like slides and simply download the slides into a PDF document! The image below shows the important information about this user’s business, which would make a great end-page for their media kit. Want to make an ebook, downloadable worksheet or resource for your users? Do you offer lots of free content and want to streamline your creation process? Creating a template for these projects is easy! Simply create an image that you like and, if you want to create another one similar, simply make a copy in your “My Visuals” section. 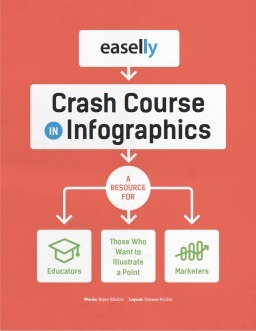 We created our Crash Course in Infographics ebook cover using Easel.ly! Use Easelly to generate unique graphics and email templates that include the body of your email. You can use templates (like the one below) or “Start Fresh”! This is a great way to retain subscribers – it’s unique and fun. 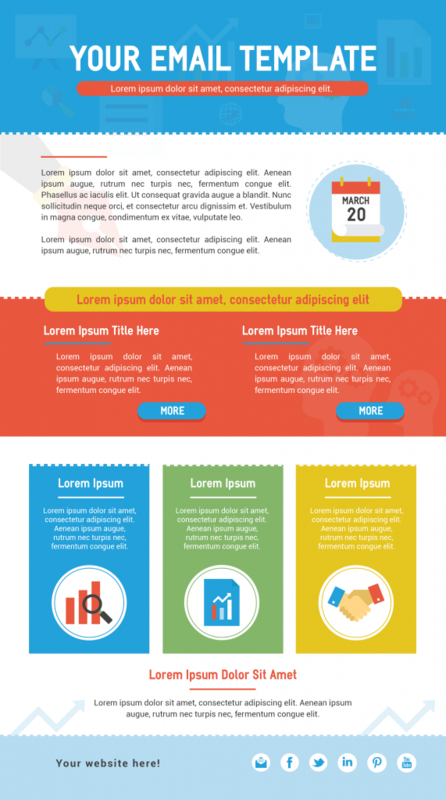 Learn more about using infographics in your email campaigns. Ready to get creative with infographics? What are your creative tips for using infographics? Share your thoughts and ideas below! Business, Marketing September 11, 2018 Kai T.